… carrots. Yep, carrots. 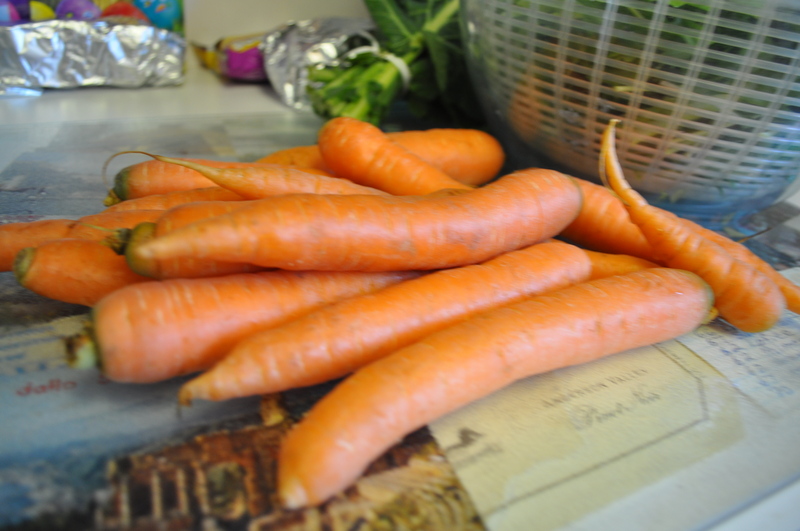 Well, tied with mushrooms, but they needed three varieties to match the two varieties of carrots in eight weeks. Out of the thirteen week Community Supported Agricultural winter share. We got orange carrots six weeks. Yellow carrots, two. We got mushrooms eight weeks. A combination of shiitake, cremini, and portabella. All together, our 13 week CSA gave us 45 varieties of vegetables. Doing some math to compare the $330 price against buying in Wegmans (the best prices for organic), we would have spent at least $380 there. We did have to fudge a bit as Wegmans does not sell strawberry popcorn or garlic greens. I had to use farmers’ market pricing for those items. 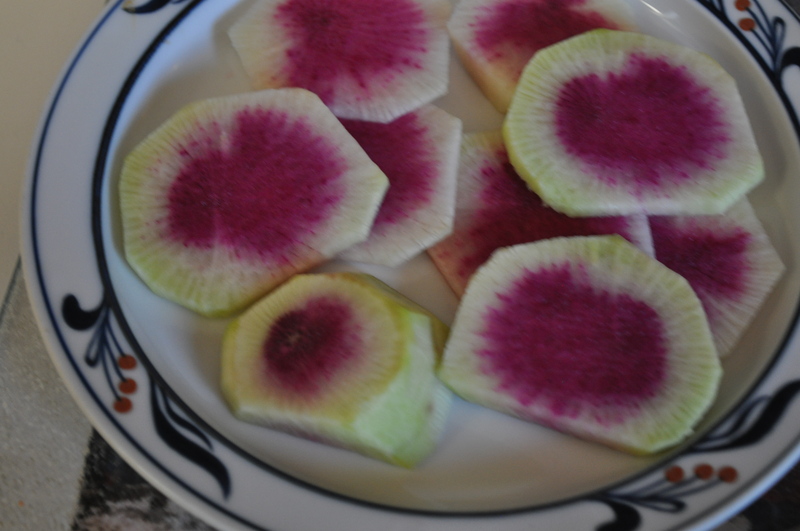 Watermelon radishes. Sweet. With a slight hint of sea salt. A perfect appetizer. We have a couple of weeks off before our spring/summer CSA starts. I will have to hit the local farm stands for vegetables. No matter what. We will still support our Amish organic CSA, because they bring us awesome vegetables at less than store pricing, and only one or two days out of the fields. Want to join us? 40-50 people hang out in a garage in Braeburn, picking up fresh foods. Check out the sign up page. Posted in CSA, Food, LFFC and tagged community, cooking, CSA, farmer's markets, Food, Locavore, value of CSA. Bookmark the permalink.